I read this article and felt like she was writing to me. I felt completely smothered by the fog! And I knew that I had a few years of fog ahead of me - but that it would get better, although Miss M wouldn't be little anymore. You don't want to wish away the early years too quickly, but it was nice to ponder a more relaxed lifestyle to look forward to one day. Anyway, like me Anna is a teacher too, however is also a parent educator and is dedicated to helping and supporting mums become the best parent they can be. I hope you find some useful tips from my interview with her. Welcome to Teacher Types Anna! 1. Tell us about your kids – 3 children within 4 years + 3 months! Wow! Yes, I had three children in a very short space of time. My adorable first daughter Zoe was born in 2005 and 19 months later I had a beautiful bouncy boy, Lachie at a whopping 4 kilos. Two and a half years after this we had our third child, our lovely little daughter Maddie. I won’t lie when I say it has been the most full on time of our lives so far! They are now 9, 8 and 5 and my youngest has just started school – time just flew! I have to be honest and say that the years when they were all young were very busy and I managed on very little sleep. Much is of it is now a blur – thank goodness for an iPhone camera that captured much of what was life with little kids. To add to it, when the kids were 5, 3 and 10 months old we moved from Sydney to Washington DC – an international move was very exciting but logistically hard work and thankfully I found some lovely American moms who also had little kids and we joined a gym with a crèche attached and we survived. 2. How has the start of school gone for your youngest? It is hard to believe my youngest is already 5 and ready to go to school. She was completely ready to go and has settled in beautifully. Her teacher is lovely and very experienced and she already knew lots of the kids in her class from preschool, plus she had her brother and sister there to keep an eye out. In her first week she was ‘Star of the Week’ for her caring, compassion and good listening skills so we must have done something right! I am so thankful I had the chance to spend two days a week with her last year as Maddie/Mummy fun days where we just hung out at the beach or park or zoo or museum or wherever we wanted to go. It was a priceless time together. It has now been 3 weeks since she starts and I do miss her. It is a bizarre feeling having just spent the last nine years with a child (or 2 or 3) at home with me to have no one during the days. The days are just different without them around and I’m glad when it gets to pick up time. But the advantages are it is quiet, logistics of parking and getting places are easier and I don’t talk as much during my day! I am sure we will both have a good year, it will just be a transition time – a natural part of having children and going with the flow of them growing up. 3. What are three values you want your children to have as adults? It is hard to narrow it down to three values!! Honesty, courage and compassion are probably my top three. Honesty: I remember my parents drilling into me that if you tell the truth; you get in far less trouble than if you lie and this is the same message I give to my children. Being honest with your self and using your intuition is also important to know the right path to take and make the best decisions. Courage: Stepping out of your comfort zone and doing something that challenges you every day helps you reach being the best person you can be. We encourage our kids to take risks – sure at this age, they are calculated, however they are proud of themselves for achieving what ever it was they tried or did. Courage in adulthood allows for freedom of movement, better relationships and a strong mind. Compassion: Teaching our children to have compassion and empathy for people will hopefully result in them being non-judgmental of others and understand that other people lead different lives. I have worked as the PR Manager for a homeless shelter in Kings Cross for the past few years and I take my children with me sometimes to meet people who have slept rough and they meet them as just people. From a privileged background themselves, it allows them to think about how other people live and gives them the power to be empathetic and compassionate to other people they meet in their lives. 4. Tell us about emotional intelligence? Perhaps a brief definition? Sure. Emotional intelligence is a person’s ability to identify, evaluate, control and express emotions. As opposed to IQ that measures a person’s academic ability, Emotional intelligence measures a person’s ability to interact with others or our ‘social intelligence’. Having strong emotional intelligence helps us communicate with others, negotiate situations and develop clear thought patters and is really important to teach kids so they can identify their own emotions and perceive emotions around them. This will allow them to communicate well, develop solid relationships, negotiate tricky situations in workplace and in life and have empathy for their friends, partners and their own children. 5. Can you give us two tips for encouraging resilience in 5 year olds? Resilience is one of the most important strengths to build in a child and set them on a path for a ‘good life’. The ability to bounce back from a negative situation will put our kids in good stead for negotiating life’s lows and highs. Don’t try to ‘fix’ your child’s problems – ‘be’ with your child and allow them to find their own solutions. You will need to guide some of their strategies and once they have the ability to problem solve in fights or know how to cope with disappointment – they can utilize it in different situations. (There is more in my blog post on Disappointment is a big emotion). Developing positive self-talk and self-esteem in our children will help them deal with their own problems. They develop their inner voice from the way we speak to our children, through experiencing positive situations and by us creating a family with a sense of belonging and significance. For the past two months, I have been interviewing child psychologist, parent educators including Maggie Dent and Kerry Spina, school principals, other people who work with kids, such as Indira Naidoo, parents and kids about what it means to be resilient for my book. It has been interested to see the strategies they use to bounce back personally and how they help children bounce back. Stay tuned for a release date. 6. Any great anger management strategies to suggest? Remain calm – once your child has ‘flipped their lid’ the best thing to do is stop talking to them, make sure there is no danger and ride out the storm. When it is all over, then talk to them about what went on and some strategies to deal with the anger. Teach your child emotional intelligence to deal with anger. Be a role model yourself and even if you loose your cool, talk to them about the strategies you use to calm yourself down. Know your child’s emotional intelligence and react accordingly as the parent. Reassure your child – when they are angry, acknowledge they are feeling angry and it is OK to be angry. Children are often scared by it and can feel just as overwhelmed as you do by it. 7. I’m currently dealing with my toddler pushing other children! Completely unprovoked and often for no reason at all. And it seems that the more I tell her not to – the more determined she becomes, like the thought gets stuck in her head. I’ve tried rewards when she’s good, I’ve tried time out super nanny style. I’ve tried telling her ‘gentle hands’. Any advice for me? (She’s 23 months). It is a stage! She will get over it…. At almost 2, children have not developed any sense of reasoning – in fact they don’t develop it until 8 or 9 years so it is hard to tell her it is the wrong thing and her take responsibility for it. At 2, they are trying to carve out their niche of independence and sense of significance and belonging in your family and in social situations. This is why time out and praise don’t work. Right now, she is feeling overwhelmed in the situation and that is her natural reaction. Dr Shafali on Conscious Parenting www.drshefali.com. 8. What would be the first thing you would say to a ‘bombarded mum’? Keep on being awesome! Parenting is the hardest job in the world and if you are a mum and feeling bombarded, chances are you are doing a great job shaping the lives of our future generation. 9. What’s your favourite activity to do as a family? Anything as long as it is together. Over the holidays, we did a big road trip up through Queensland and it was priceless to create those memories. We also love kayaking on the harbour, going to the beach, bike rides, walking the dog, having dinner together at our favourite restaurant and watching a family movie on the couch. Thank you so much for taking the time to contribute to my blog and sharing your words of widsom Anna. A great interview! 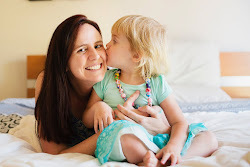 I often read The Bombarded Mum's blog, it was lovely to have another insight into the voice behind the blog. Lovely interview! I love Anna's blog. Such great advice on raising kids well. Absolutely insightful and supportive interview. 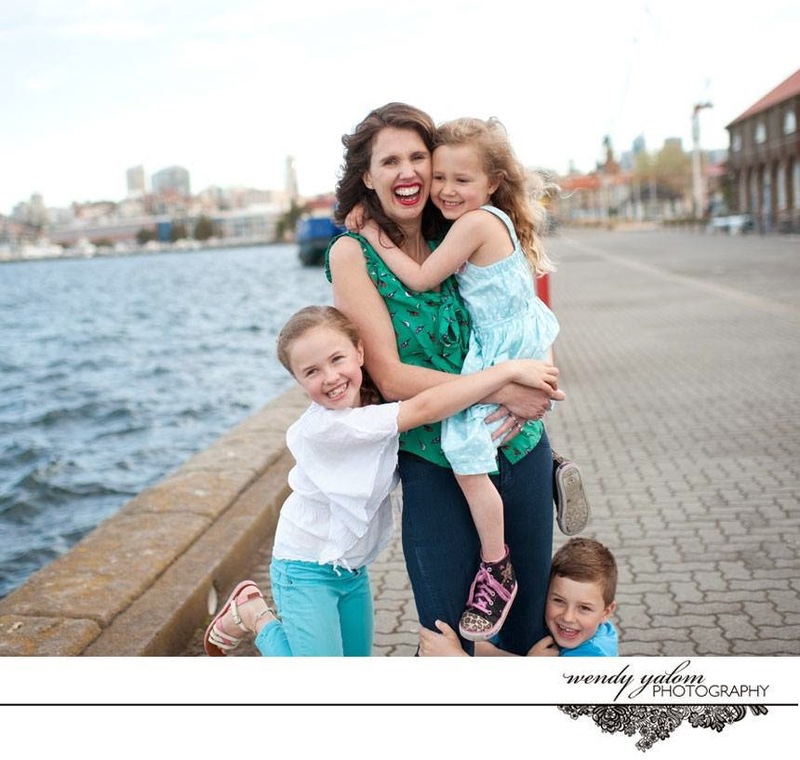 I love Anna's work and missions snd I'll be sharing this interview with my parenting community. Thank you! Great to hear Kerry! Thanks for sharing. It was such a pleasure and honour to be interviewed by you Lauren! I love that we can connect on so many levels being teachers, bloggers and mums together. You have created a lovely, insightful blog and community around Teachers Type it is a credit to you - I esp. love your creative classroom ideas! Thanks again for the opportunity to be interviewed. I discovered Anna's blog with the same post. So nice to read a bit more about her.